Consider making a Facebook group page for your club. Several clubs already have one. It has several benefits. Second, many people use Facebook already. So it would not require much effort to create a page. Third, it facilitates communication among members of the club. You can post a message for everyone who is a friend of your group or privately message individual members. 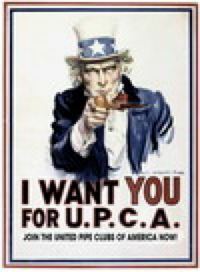 Finally, you can join the UPCA Facebook page at https://www.facebook.com/groups/unitedpipeclubs/ and share what you post on your Facebook page on the UPCA page to let other clubs know what your club is doing.